The diamond pattern shows that this is a female Anolis polylepis. 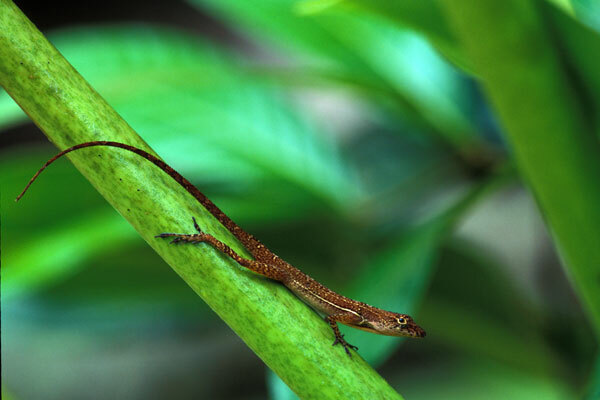 I had earlier identified this lizard as Anolis tropidolepis, but Savage's great Costa Rica herps book set me straight. This lizard was photographed on a herping trip with GreenTracks. Here is a complete list of the species we found on this GreenTracks trip. This individual was posing nicely in the greenery just outside my cabin at the Esquinas Lodge. 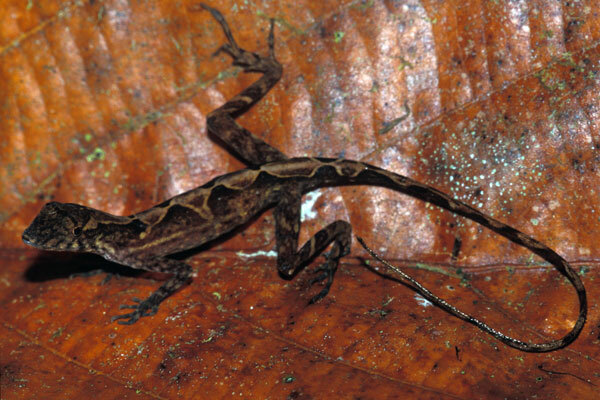 This species is briefly described in an on-line field guide to the herps of Las Cruces Biological Station in Costa Rica.